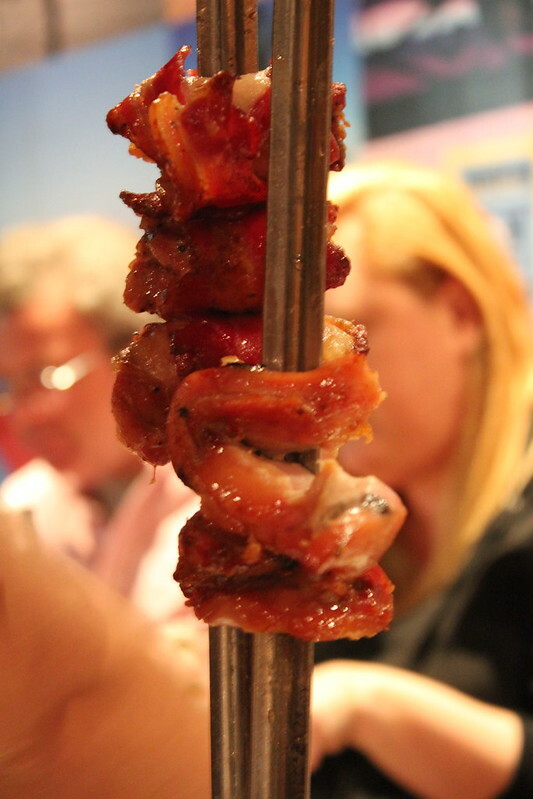 I’ve only ever had the opportunity to have Brazilian barbecue once before in the city and unfortunately it wasn’t the most fantastic experience. Admittedly, it was a cheap deal, but the meat was tough and flavourless and the sides were nothing to write home about. 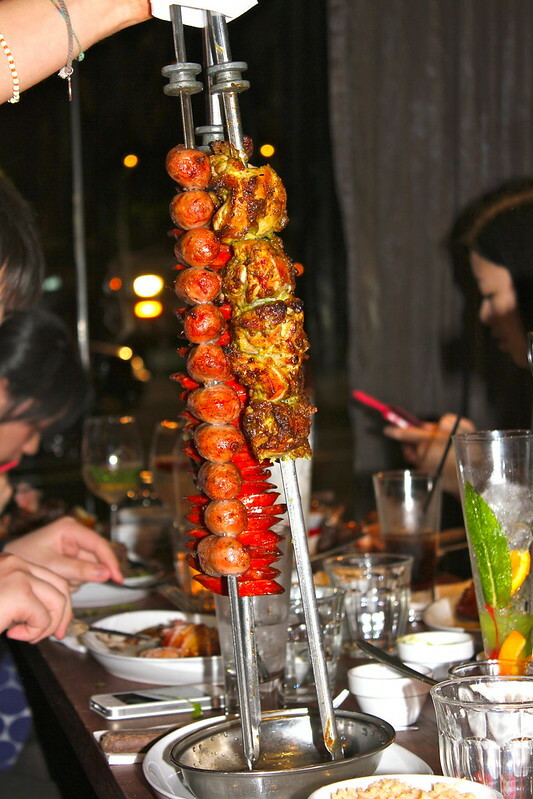 My opinion on churras, however has done a complete 180 since visiting Churrasco in Coogee and I cannot wait to go back!! 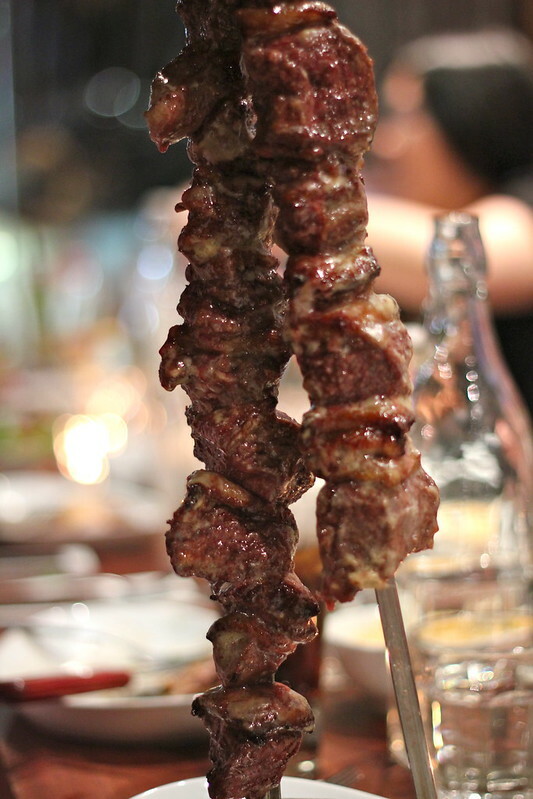 For $44.00 a head for the quantity and absolute quality of the food, Churrasco in Coogee is a great deal. This price includes unlimited meat and the wide selection of side dishes included on the menu so you can eat until you are absolutely stuffed to the brim (which I pretty much guarantee will happen). The food is just so delicious and perfectly cooked that you will eat and eat and eat until.. well you get to that ‘I just might die from food explosion’ stage. Don’t be like me. It’s probably not a good idea to get that far. Haha. 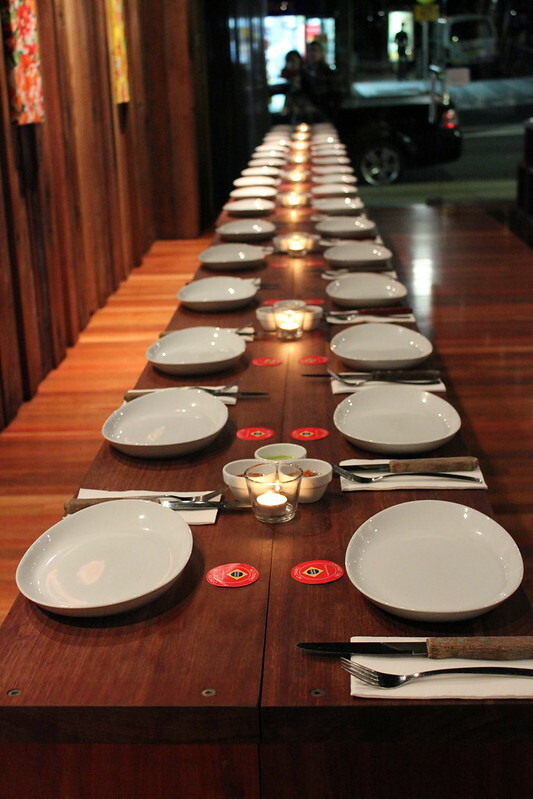 Love the seating – this setting would be great for parties! 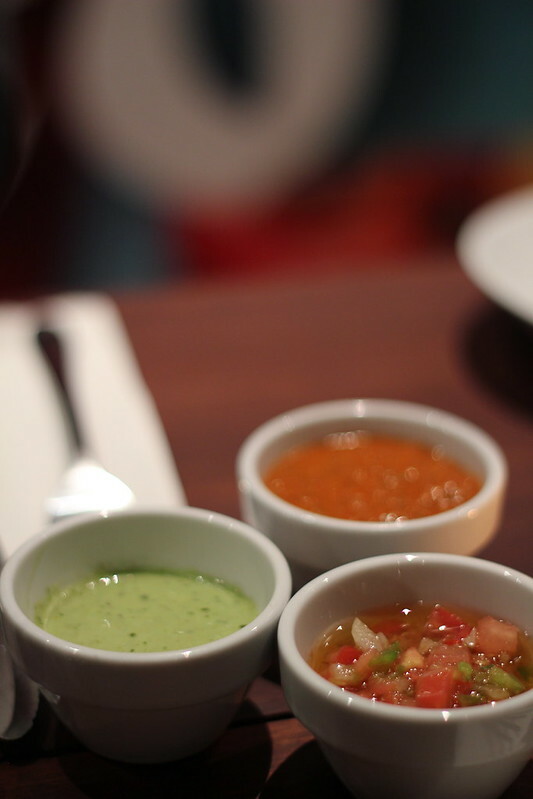 Side sauces to accompany all the delicious meat. The meat was all so flavoursome that we actually did not need the sauces very much at all, which was a shame as they sounded great. The Brazilian version of the Pina Colada. 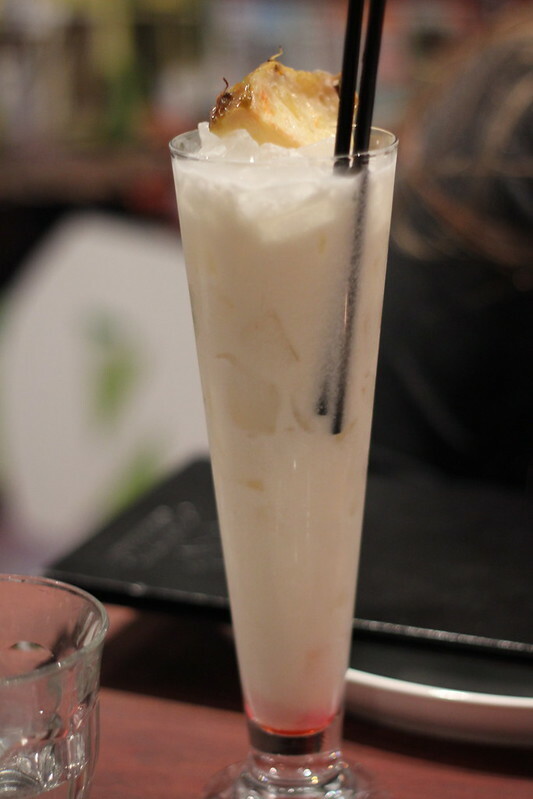 Coconut cream, pineapple and gold cachaca. 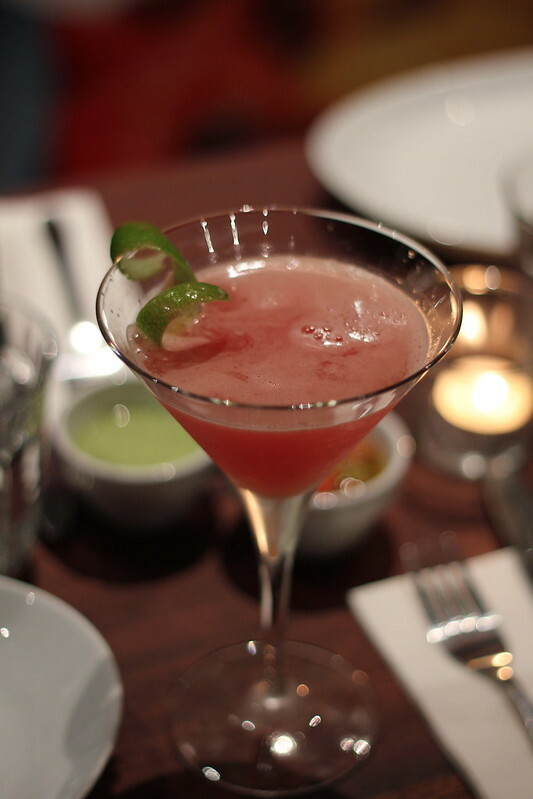 Brazilian daiquiri infused with cachaca, lime and watermelon. 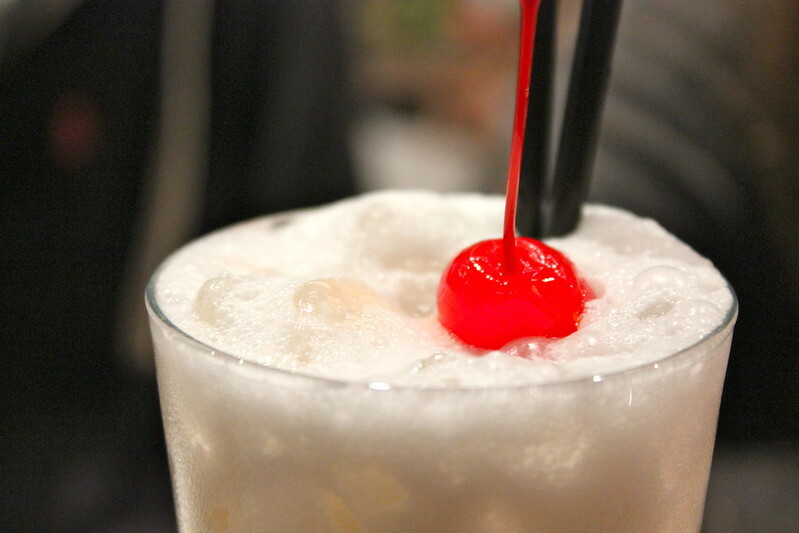 I got a virgin version of this – it was delicious and super refreshing. 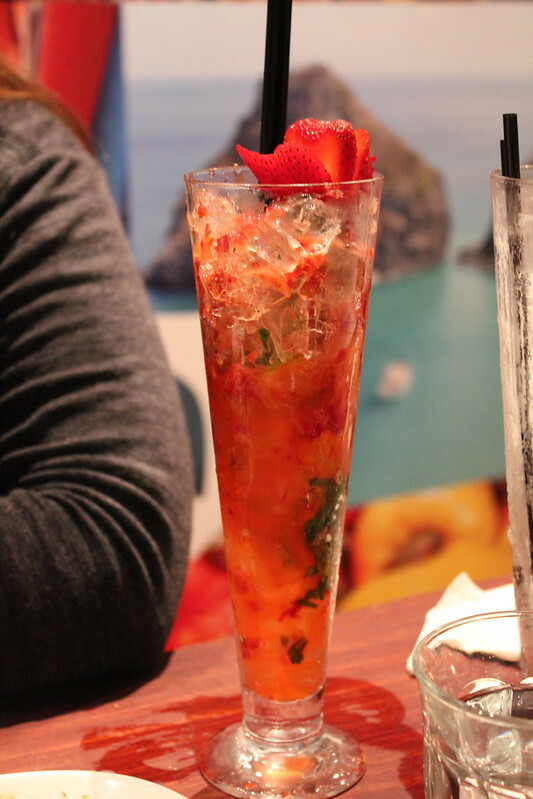 Not sure which drink this was – I believe it was a lychee and strawberry mocktail? Honey soy chicken thigh – this was one of my favourites of the night. The honey soy flavour was perfectly complemented by the smokiness that penetrated all of the BBQed meats from the night. Sooooooooo good! 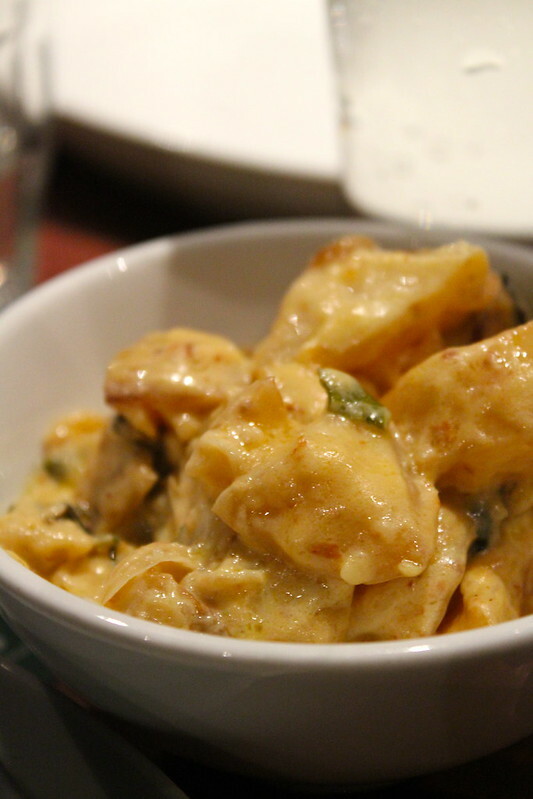 One of my fave side dishes of the night: roasted potatoes in a creamy sauce. 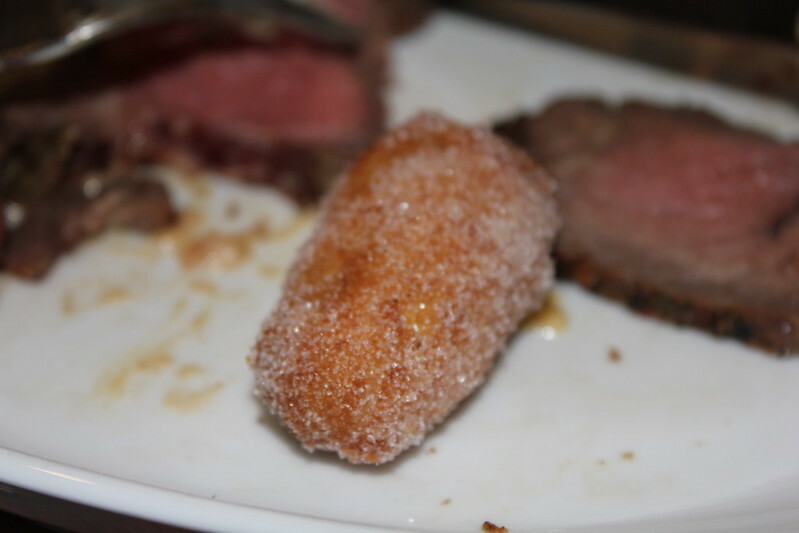 DEEP FRIED BANANA. Need I say any more? I heard someone saying this was like a banana doughnut – couldn’t come up with a better description! Super cute little delicious cheesy bread puff of amazingness. The dish I was waiting for aaaall night and it was so worth it. Beef ribs – absolutely fantastic. 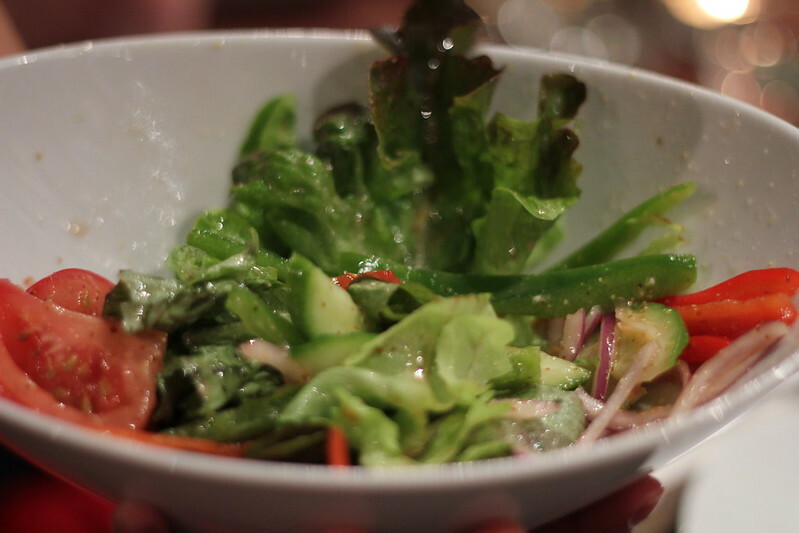 I was getting soo full at this point but so glad I tried it – the meat was unbelievably tender and had so much flavour. You have to try this! 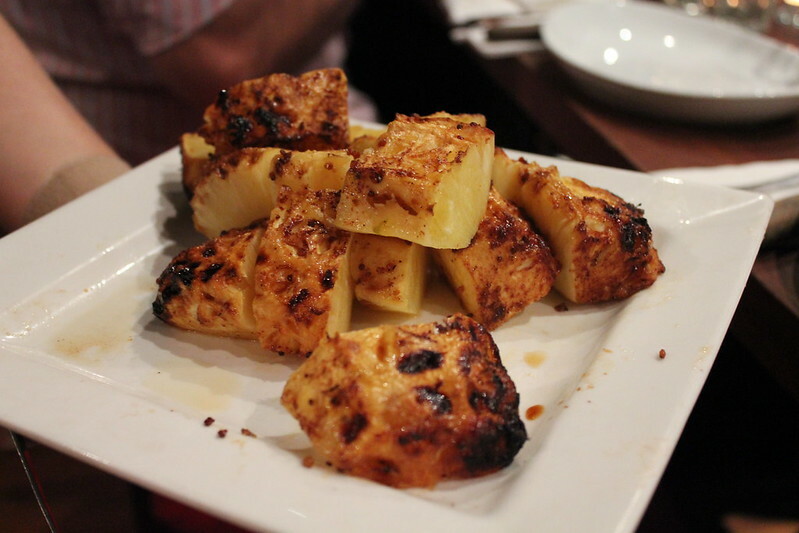 Grilled pineapple – super sweet and sour at the same time. Nice and cleansing to help clear out all that meatiness, but I could barely eat more than a bite by this stage! 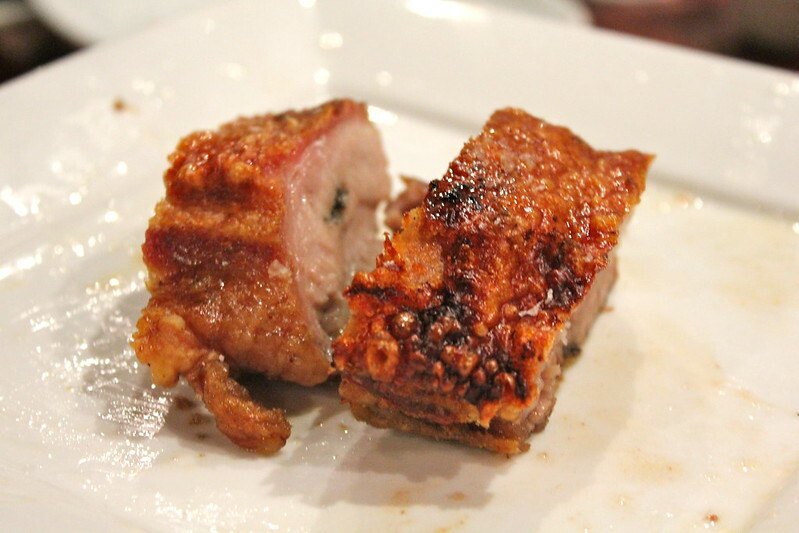 Pork belly. I didn’t try this, but it was apparently amazingly crackly! Now, onto desserts! 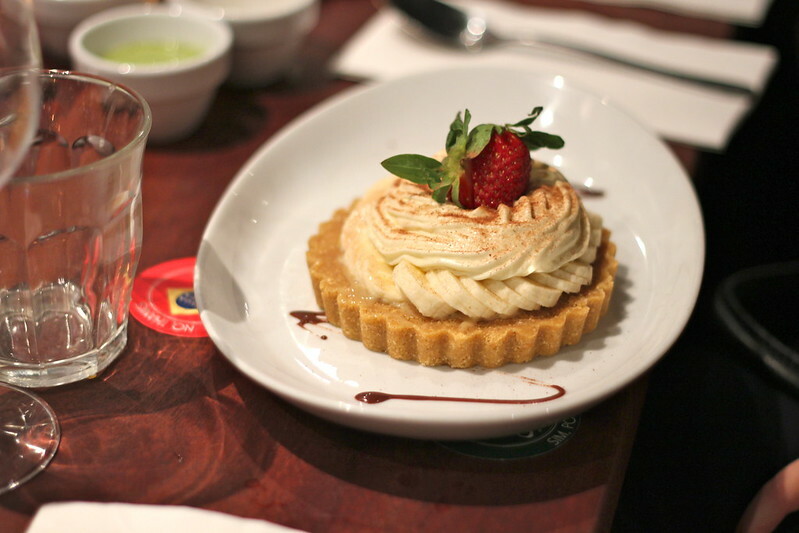 Since this restaurant specialised in amazing BBQed meat, we were quite pleasantly surprised at the very high quality of the desserts offered at Churrasco Sydney! 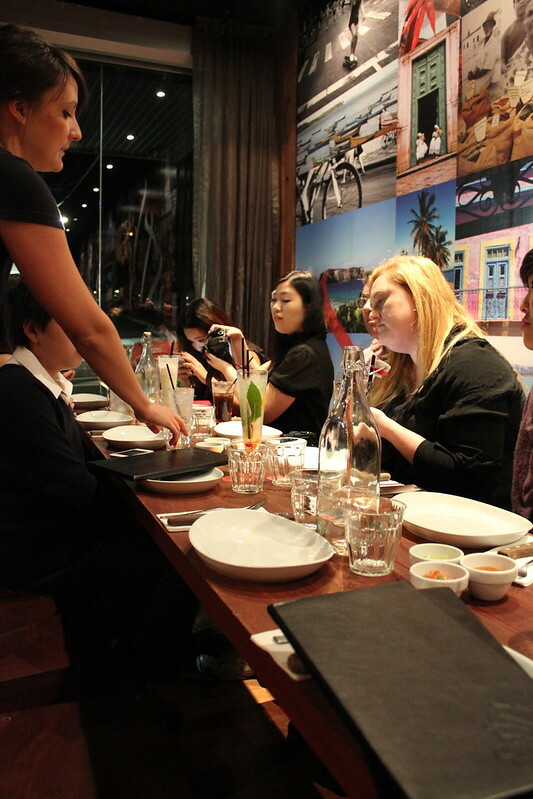 They were all quite a generous serve that could easily be shared between two (especially after such a huge meal!) and well priced at $10.50 a pop. Dulce du Leche, fresh banana with creme chantilly and chocolate sauce. I tried a tiny sliver of this (not exactly sure how I fitted it in!). It’s hard to go past a classic like banoffi tart and they did a great job of this. If I had more room, I would have enjoyed gobbling this one up! With dulce du leche and Vanilla Ice Cream. These were absolutely superb! My dinner date was Chilean, and her mum makes fantastic home made churros – and she said these were on par with her mum’s. Pretty high stakes! I didn’t have as much experience with churros as her, but still loved the crispy exterior and the pillowy warm insides, all drizzled with the sweet dulce du leche. The vanilla ice-cream was a welcome addition to help cut through the sweetness of the caramel. Served with ice-cream and baileys/butterscotch sauce. I didn’t try this one but it looked sublime! As well as sugarpuffi, food_religion and many more! My fave dishes of the night that I highly recommend include the beef ribs, the honey soy chicken thigh and scotch fillet (didn’t get a good shot of this.. but sooo tender!). 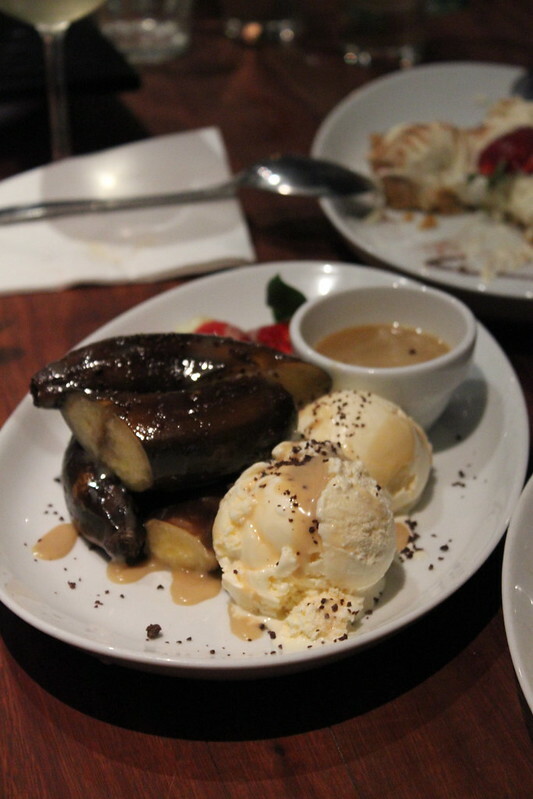 Fave side dishes were the marinated barbecued eggplant, baked potatoes, the DEEP FRIED BANANA (SO GOOD! ), cheesy bread puffs and of course the grilled pineapple. 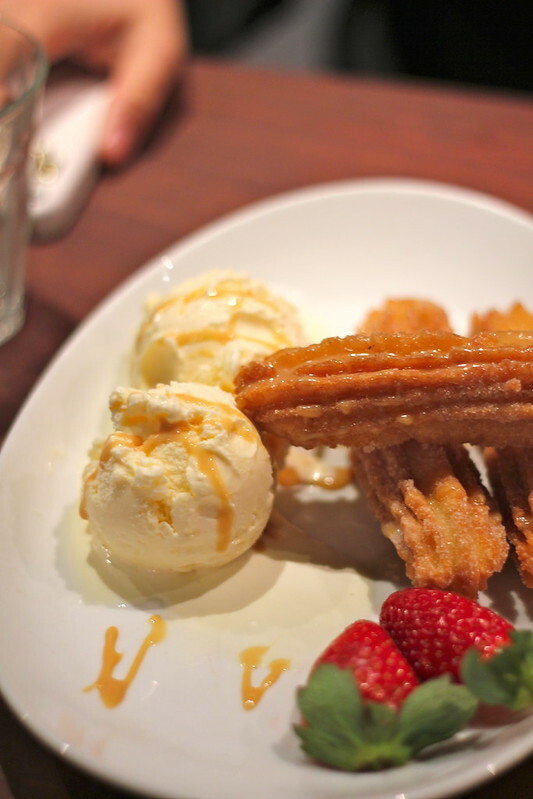 As for dessert, who could go past those dreamy churros?? 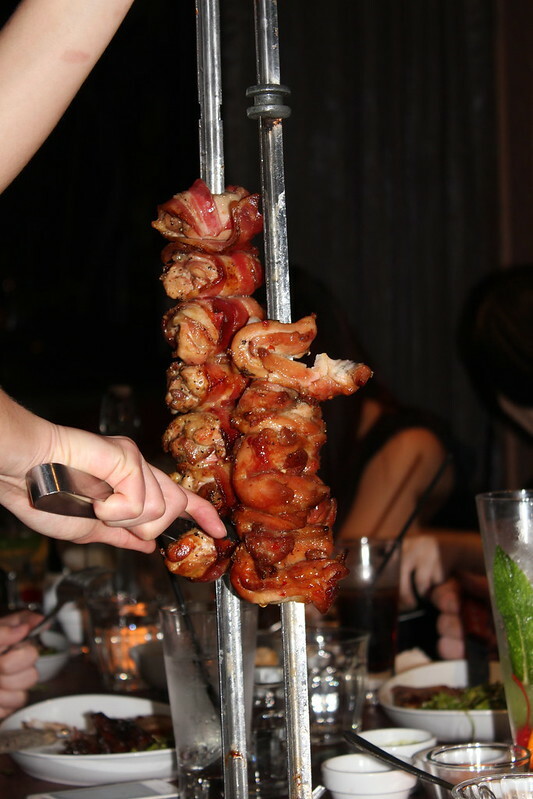 If you love endless perfectly cooked meats with delicious side dishes, are looking for a fun date night, or a great place for a birthday – Churrasco Sydney is for you! 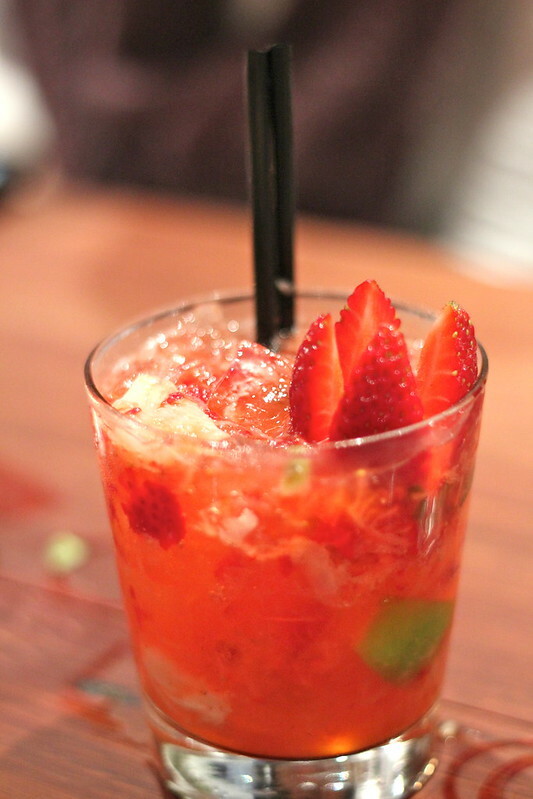 As well as their main menu, Churrasco Sydney also have a fantastic selection of cocktails and desserts and are very accomodating at making their cocktails into mocktails if you’re driving or don’t drink – super handy! 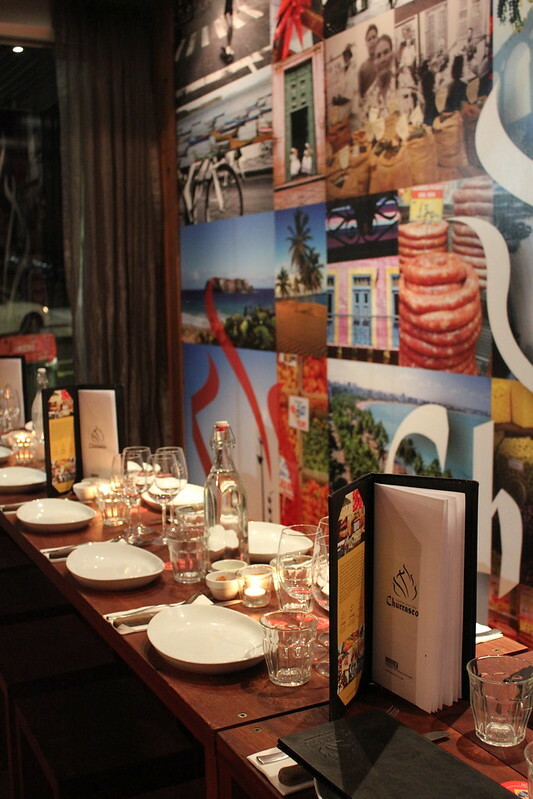 Cookingcrusade.com dined as a guest of SweatyBetty PR. 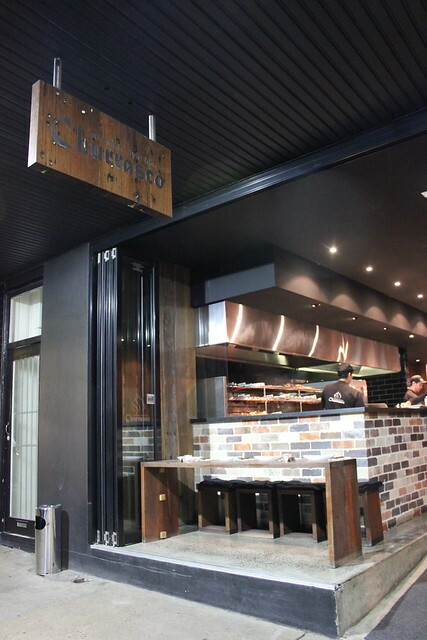 Click here to see the Churrasco Sydney website. (Unfortunately it is currently being updated, but you are able to see the addresses of all locations, make a reservation, make an enquiry and like them on Facebook). Was nice to meet you again in person! Very stomach filling and fun night that sure was. 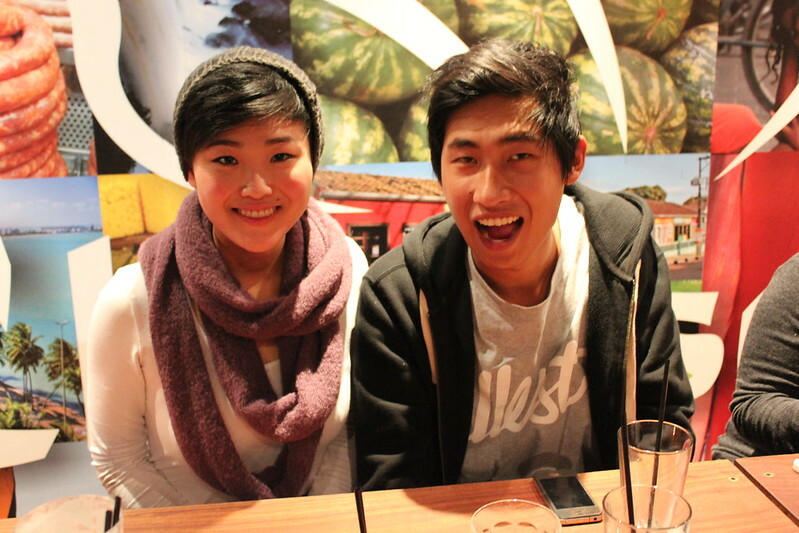 You too Shan Shan! 🙂 I am soo dying to go back. The food there was epic! 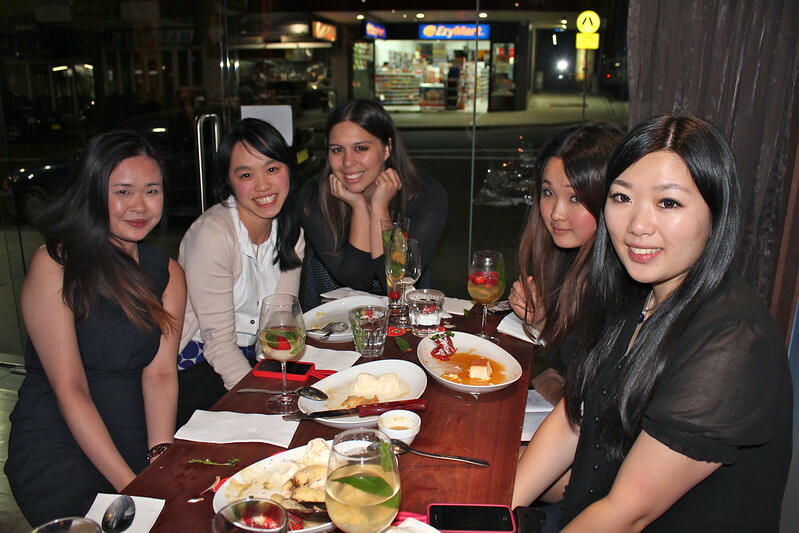 Churrasco is always painfully fun! lol. 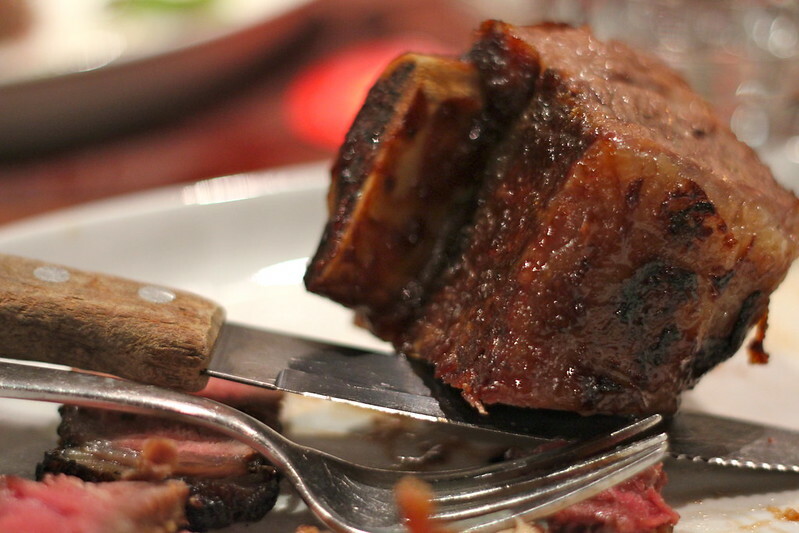 My favourite is definitely the picanha or rump cap – super tender and tasty! Definitely a great group activity 🙂 And it really was a LOT of food.. too much for me to handle everything unfortunately! But still good! Definitely for me! 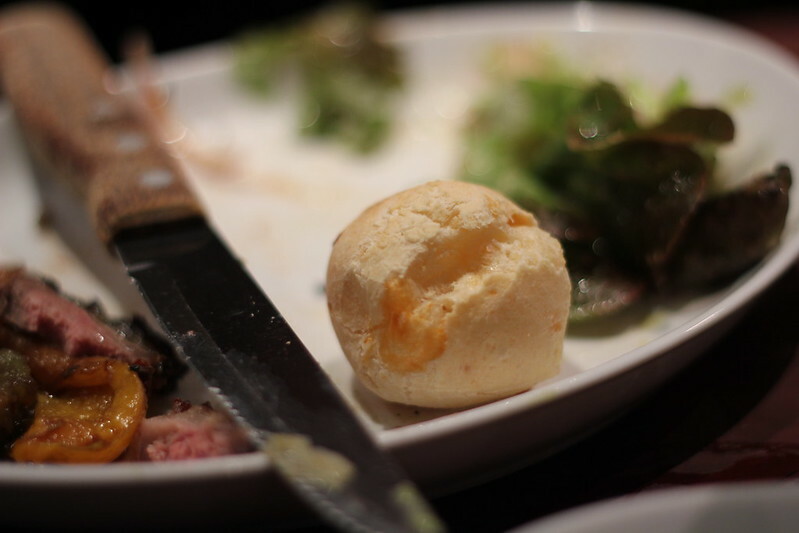 Bad churrasco is such a disappointment… it should always be faaantastic! Oh yes great value for money considering the quality and quantity of food you get! 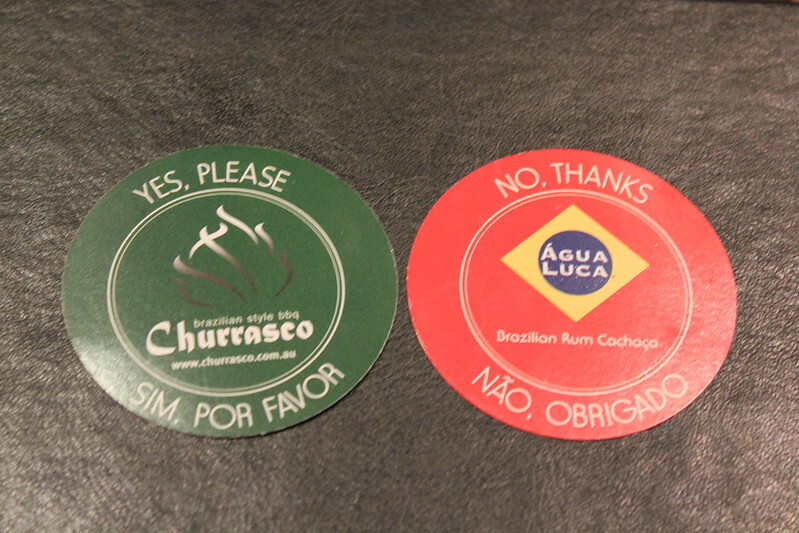 I think its worthwhile paying a bit more for good churrasco – in previous experience its totally worth it! But yeah a workout would probably be highly recommended for this one, haha. This place is amazing. Currently fantacizing about the banana! Thanks Katarina – I’m still fantasizing about that banana hahahah. Soo good! Hahah just like me! You know I was so surprised at the high quality of the desserts they served there – you would think that a place specializing in such a meatfest wouldn’t do such great desserts but they do! Wow the food looks delectable! And your pictures make the whole ensemble come to life!! !